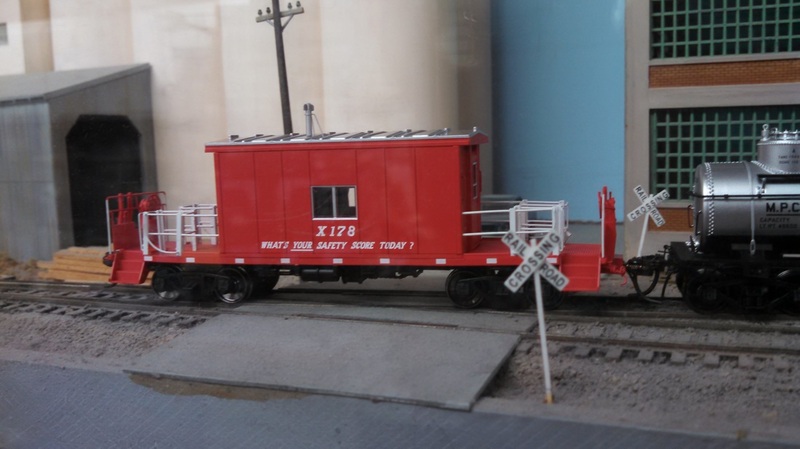 ﻿Beaverton Modular Railroad Club's HO scale modular layout is fully portable, which allows us to "take model railroading to the public." We have a permanent operating layout located at Alpenrose Dairy's Dairyville in SW Portland, and a traveling modular layout that allows us to set up a fully-functional operating layout virtually anywhere!! Club members are involved for a variety of reasons, some have interest and skill in creating artistic scenery to bring a sense of realism in the display, others enjoy building and detailing engines and rolling stock. Some join because they wish to run a realistic model railroad, and many members join because they don't have the room or resources to have a layout in their home. There are many reasons to join, but the best reason is because we love to have fun and share or love of the hobby. The term modular, refers to a type of train layout display with interchangeable sections, called modules. The layout consists of modules 4ft, 6ft or 8ft long x 30in deep. The 6ft modules must be used in pairs, since the total length of any section must be divisible by 4ft. Modules are either club owned or member owned. These sections, along with four corner sections, are connected together to form a square or a rectangular display. We can set up as small as 10' x 10' and can expand to fit just about any size area. With the aid of a special inside-corner and an additional corner, we can even form an "L" shape. With some of our members' skill in electronics and computers we have developed a sophisticated but simple-to-use analog and digital control system that the most novice of operators can master. For those looking for more realistic operation with a small bit of a challenge, we also have an NCE brand DCC system. Our display has a variety of animated areas including a city section with an operating trolley line with many stops as well as a subway that has people waiting at the platform. We are currently working on other animations. BMRC's modular display can be seen at a variety of train shows and other venues in the local area. 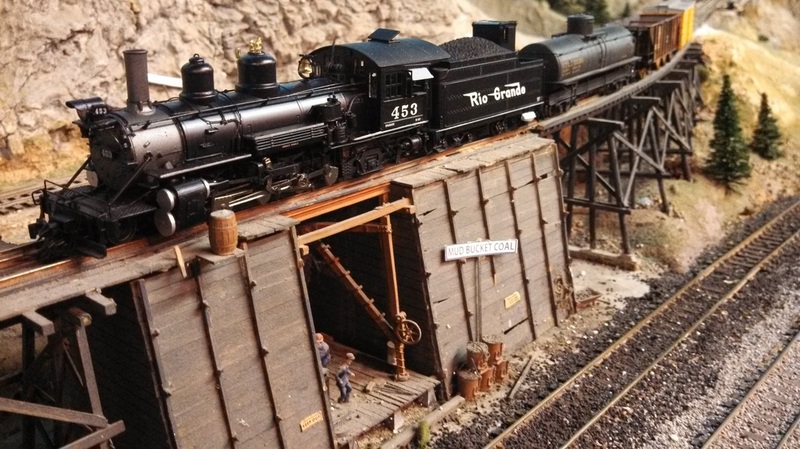 We regularly show at the Great American Train Show, Northwest Region National Model Railroad Show, as well as local and regional swap meets even as far south as Salem. Other places where we have had the opportunity to display include Crestview Convalescent Home, Oregon Blueberry Festival, America's Largest Christmas Bazaar, Centennial Celebration of the Portland Union Train Station, the Grand Opening of Tri-County Westside Light-rail, Westside Express Service (WES), the Grand Opening of the Northbound Light-rail, and then later the Grand Opening of the Milwaukie Light-rail line. During the displays at either our Alpenrose layout or on the road, viewers are encouraged to tour at a more leisurely pace so that they don't miss anything. Since we don't model after any set historical period, theme, or geographical area there is no telling what you might find. At any particular display you might see a Hot Tub for Hippos' at the farm or Thomas the Tank engine running down the tracks. Some of our more visually stunning scenes at either display include: impressive wood trestle bridges, a wharf scene depicting a working harbor that includes real water and no-so-real sea monsters, and an airport where you may find just about any imaginable form of aircraft, and we must not forget and industrial area that includes a grain elevator modeled after the one in Portland next to the Steel Bridge... During the fall and winter months, you may even see a snow-covered scene inspired by The Polar Express.